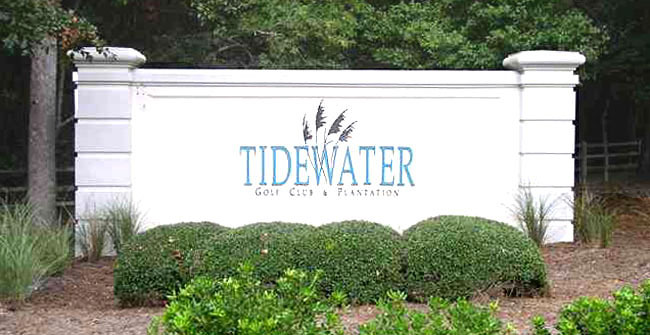 A neighborhood of single family homes, townhomes, and condominiums complexes, Tidewater Plantation is in Cherry Grove Beach, off Sea Mountain Highway surrounding the Tidewater Golf Course which has been named one of the 100 best golf courses in America. This community is nestled between Cherry Grove Inlet and the Intracoastal Waterway offering homes on the Waterway, stunning views of the marshes, and the golf course greens. Parts of the resort are gated, with fine golf course estate homes, and other areas are affordable but still very popular. See our other page for information about HOMES IN TIDEWATER PLANTATION. 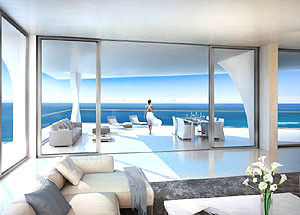 Tidewater features first-rate amenities. With a high-tech fitness center, a clubhouse, 5 pools, tennis courts, a private beach cabana, discounted golf privileges and an onsite restaurant are just some of the extras. There are many neighborhood activities such as tours and bridge clubs. Heron Lakes Villas condos are near the main Amenity Center. Clubhouse Villas includes golf homes with views of the Intracoastal Waterway and the golf greens. Lighthouse Point Villas offers three-story, 2 and 3 bedroom condos on the greens. Very popular for having an elevator. Teal Lake Villas has condos near the clubhouse on the lake and fairways. Tidewater Ridge Townhomes offer two-story spacious three bedroom patio homes next to the clubhouse, pool, fitness, and tennis courts. Most of the condo buildings offer both 2 and 3 bedrooms, and prices range from around $100,000 (the majority) up to around $270 for the largest luxury condos. There are quite a number of them for sale, so use our CONDO SEARCH and look them up by the names above to get a complete list. 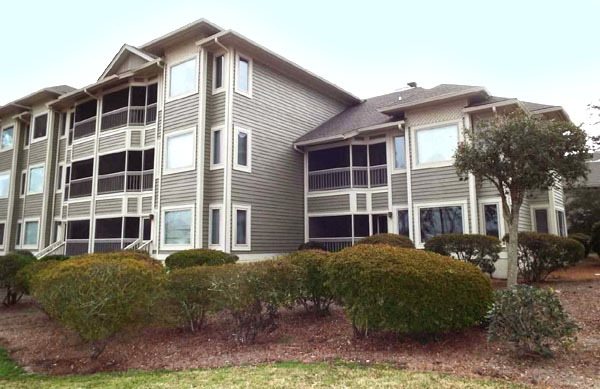 Tidewater Plantation is one of the most highly regarded communities in North Myrtle Beach. There is so much to see and we would like to help you find your perfect place at Tidewater Plantation. Call us to see any of the beautiful homes or condos for sale in Tidewater Plantation.